For authors, a book tour comes with the territory when a new book is released. Authors often fly from city to city in an exhausting tour-de-force, appearing on local talk shows, speaking to reporters, signing their new book at bookstores, and maybe visiting a few book clubs along the way. Traditional tours like this aren’t done as often as they used to be, what with budget constraints and new methods of marketing. Still—unless we’re also speakers—we authors don’t get out much! So we won’t be denied our fun. I’m looking forward to the wonderful in-person tour stops I’ll be doing next fall. Authors published by smaller presses often do slightly less glamorous trips, driving from city to city with the back of car loaded with boxes of books. I’ve done my fair share of car-touring as well, and there’s a lot to be said for visiting smaller communities in person, performing free readings and programs at local libraries, meeting with writing clubs to encourage other writers, answering questions from avid readers. I’ll be doing some of this in the fall as well. But today begins my first Virtual Tour. And if planes and cars are the transportation method for the physical tours, I think a boat is the right metaphorical conveyance for this new way of touring. The good ship Milford-Haven, well stocked, gleaming with polish, and fairly shuddering with expectation of its first gust of wind in the sails, embarks today from Port Bellekeep Books. How this tour will work doesn’t really feel virtual—it feels real to me, and it’ll be real for all of you who choose to read the posts that will come every day or two during this maiden voyage. Some extraordinary people and organizations have invited me to be their guests almost every day of August. And on the rare day where I don’t stop by a blog, I’ll stop by a fantastic Facebook page instead. How will this work? You’ll get to come on board, sit at the Captain’s table, and enjoy a delicious feast of words and ideas. Sometimes we’ll talk about mystery, sometimes about romance; sometimes we’ll talk about creating, sometimes about sitting back to enjoy. Always, we’ll provide a mix of sweet and savory—humorous and serious. My first stop will be even more fanciful. My dear friend Katy Sullivan and I thought we’d treat you to your own private mini-movie. Katy is an accomplished actress, a singer, and an athlete who runs for gold all over the country. She’s a speaker and spokeswoman. And she’s also beginning to be a writer. Katy and I share several passions. One is acting, and story-telling through drama. So we’ve written a scene where you can eavesdrop on one of our conversations . . . the kind of conversation that has us sitting in a booth at our favorite neighborhood restaurant all the way through breakfast and well into the lunch hour. 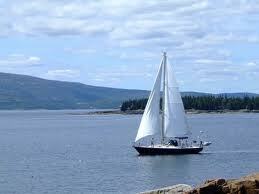 So come on down to the dock, step onto the sailboat Milford-Haven. Stop by the galley for a cup of tea, then find your way to the private screen room. The curtain rises soon on “Transformation: A Conversation Overheard” at http://observationsofaneternaloptimist.wordpress.com/2011/08/01/transformation/. This entry was posted in Acting, Authors on Talk Shows, Bellekeep Books, Blog Tours, Books, careers, Collaboration with other writers, Connecting through books, Creativity, Current Event, history, Innovative marketing, Innovative marketing, Love of Books, Mara Purl, Mara Purl using new marketing methods for Books, Marketing, Milford Haven, Milford-Haven Novels & Stories, musician-singer-songwriter, new methods of marketing books, News reporting, Publishing, relationships, Romantic fiction, screenwriting and acting, Small Presses, Transformation, Travel, Uncategorized, Virtual Book Tours, Virtual Book Tours, Women's Fiction, Writing and tagged acting, author Mara Purl, authors on talk shows, blog book tours, book tours, changes of The Milford Haven Books, Fiction, Katy Sullivan blog, Mara Purl and Bellekeep Books, Mara Purl on blogtour, small presses publishing Mara Purl book, storytelling through drama, The Milford-Haven Books, transformative fiction, transforming lives through books, virtual tours about books, virtual tours about books. 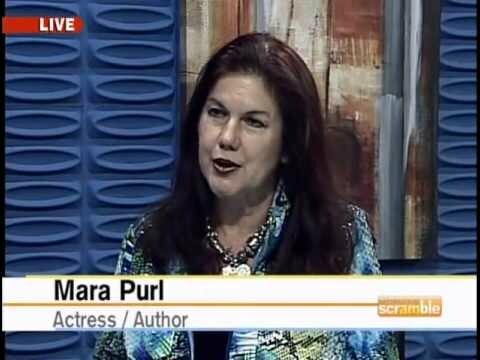 writers Mara Purl on blog tours, What the Heart Knows, women's fiction, women's fiction novels, writing, www.marapurl.com. Bookmark the permalink. How exciting! I love the metaphore of the cruise with food for thought and such. Can’t wait to read all of the different posts on the Virtual Tour. Mara, you are becoming quite the social media expert! Very impressed with all your posts and conversations. Mara… what a wonderful palette of words you shared on each stop–have loved it!